The world of superheroes is one typically tied to the notion of high-octane action, bombast, and spectacle, the kind where the stakes are generally of the world-ending variety. Even for a street-level series set against the dark, grimy brickwork of a fictional Hell's Kitchen, Marvel's Daredevil still made a super-heroic demonstration from its frequent brutal fisticuffs and tale of a nascent hero triumphing against seemingly insurmountable odds. But if The Man Without Fear took a decidedly murky, slightly less fantastical approach to the idea of superherodom, then Jessica Jones is a stark reminder that one show's darkness is another show's bright, sunny day. Make no mistake, Jessica Jones is dark; it's the darkest thing Marvel has done, and it is also the studio's most compelling, grown-up offering to date. The series from showrunner Melissa Rosenberg is an emotionally complex story that is riveting in its depiction of surviving trauma as a woman, and learning to trust everything again after such a distinct and harrowing violation. But it is also about will and determination; the different kinds of power superheroes often talk about when they are at their lowest point or facing a seemingly unbeatable foe. As such, the idea of power, then, becomes the foundation on which the series is built and where it focuses most of its storytelling energies throughout the first season. Power comes in all shapes and sizes in Jessica Jones. From the raw physical power of Jones and her new acquaintance Luke Cage (Mike Colter) to the emotionally and mentally manipulative power of her nemesis Kilgrave (David Tennant), the series makes terrific use of its central theme. Moreover, the show smartly uses the different forms of power to deepen its thematic structure and build its story around a character in recovery. At the same time, it also manages to be a true to form hard-boiled detective story – complete with a boozy, defensive, and embattled private eye at its center. Krysten Ritter is superb as the "hard-drinking, short-fused mess of a woman" around which the series revolves. Her performance in Jones hints at the sort of nuanced dramatic work she delivered during her brief stint on Breaking Bad, except this time Ritter has become the one who knocks – or rather the one who break locks with less effort than most people put into unscrewing the lid on a jar of pickles. With her anti-social, occasionally violent, and reliably drunk characteristics, Jones reads like the sort of brash individual better known for headlining some of the most popular and critically acclaimed series of the last two decades. But rather than present another Walter White, Don Draper, or Tony Soprano, Jones is something else (there's less sense of entitlement in the way she carries herself, for one thing). And yet, perhaps because of the specific needs of the genre in which the show ultimately takes place, there is a built-in emphasis on Jessica's stumbling attempts to do good (and make good on her abandoned career as a superhero), as opposed to seeing her break bad. To that end, it's interesting how appropriate it feels for the viewer to draw from his or her experiences with certain television dramas than with the shows and films whose stories and characters exist within the same universe as Jessica Jones. That isn't to say other series under the Marvel banner aren't adept at drama or aimed at adults, they are; it's just that Jones offers a different experience than Agents of S.H.I.E.L.D., Agent Carter and, to a certain extent, even Daredevil. All three shows service the needs of their characters and audience quite well, and following that logic, so does Jones; it's just that this particular character has very specific, very different needs. The series may belong to the aforementioned universe, but it feels wholly unlike anything Marvel has attempted so far. The distinctiveness of the series extends to the supporting cast as well. Performances are terrific all around, with the aforementioned Mike Colter distinguishing himself as Luke Cage long before his own series begins. Additions like Carrie-Ann Moss and Rachael Taylor offer the narrative a chance to breathe and focus briefly on their subplots. Moss' Jeryn Hogarth, a powerful defense attorney who sometimes throws Jessica some work, is embroiled in a messy divorce from the always-fantastic Robin Weigert (Deadwood, Sons of Anarchy), while Trish is recovering from traumas of her own – one involving her time as a child star with a manipulative mother, and another that occurs as a direct result of her bruising the fragile ego of the series' villain. One of the side effects of having a villain as beguiling and twisted as Kilgrave – a fact that is further bolstered by David Tennant's engaging performance – is the tendency for the story to be blinkered by his presence. By the time the first episode comes to a close, the plot is already swirling around Kilgrave, making questions of Jessica's connection to and fear of him impossible to resist. While this serves the plot, giving it immediate drive and focus, it does position Jessica in something of a vacuum. The series mitigates this somewhat through her interactions with Trish and Jeryn, as well as neighbors Malcolm (Eka Darville), Ruben (Kieran Mulcare), and Robin (Colby Minifie), which help round her character out, demonstrating how she can simultaneously inspire loyalty and frustration in those who know her on any level. The intense, limited focus of the narrative is mostly welcome, but it works as something of a double-edged sword. On one hand it makes Kilgrave an intimidating presence from the get-go. It's similar to how Daredevil introduced Kingpin through the frightened whispers of minor criminals in the underworld of Hell's Kitchen. And yet, after just a few episodes that intense focus can begin to feel constrictive and emotionally taxing – making a straight binge watch possible, but perhaps not recommended. That isn't necessarily a bad thing, since the examination of the emotional fallout from what Kilgrave did to Jessica (and many, many other people) is what makes this series so distinctly different from other entries under the Marvel or even DC banner. In that sense, Jessica Jones is a refreshingly different take on the world of superheroes, one that defines itself as such without thumbing its nose at the conventions of the genre. If anything, the series embraces the predominant notions of power and responsibility, and presents them in a way that nonetheless enthralling. 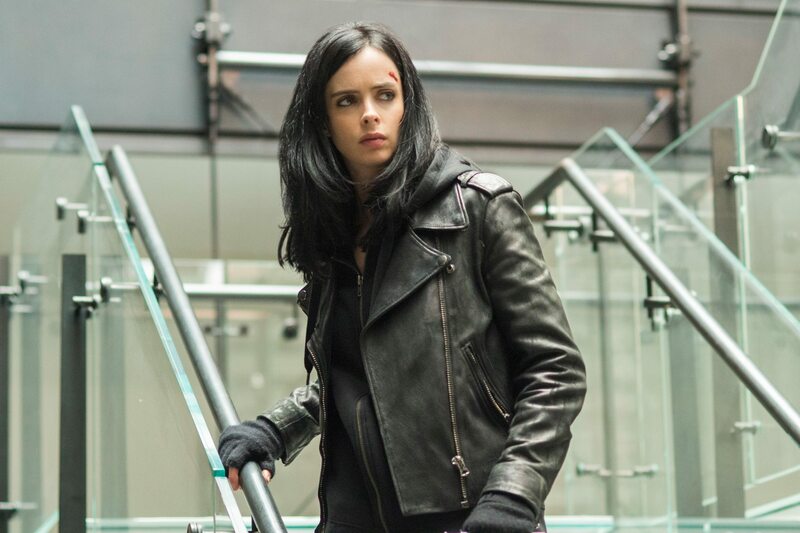 Jessica Jones season 1 can be streamed in its entirety on Netflix.